Medicine is constantly changing and the same is true for stem cell science and Regenerative Medicine in general. No longer does a patient need a donor and immunosuppressive drugs with serious side effects for stem cells. Previously, cartilage cells from a patient’s own knee were harvested and grown in a lab to greater numbers. Due to technique flaws, autologous Chondrocyte implantation led to cartilage overgrowth in patients under 50. The FDA now restricts lab-grown autologous stem cells because it is a non-approved drug therapy. However, utilizing a patient’s own stem cells the same day without laboratory modification is currently legal in the United States. In most other countries, using the patient’s own stem cells to treat their own bodies is prohibited so Dr. Lox accommodates patients worldwide. 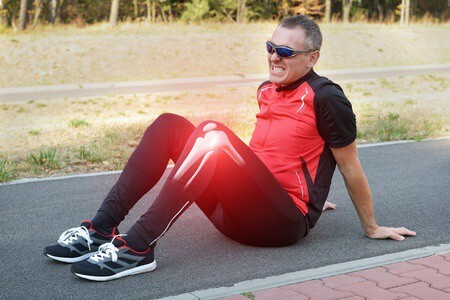 Stem Cells can heal injuries such as Avascular Necrosis, meniscus tears, and degenerative arthritis. Patients with knee arthritis often request stem cells treatment to avoid knee replacement surgery. The regenerative technology incorporates research used in various other fields for treatment of the knee. The future is bright for improvement in sports and musculoskeletal disorders as we continue to find ways to heal and improve athletic performance.